Join us for a hands on class covering the building blocks of cocktail technique from Aubrey Howard of The Violet Hour in Chicago. We will cover shaking, stirring, and jiggering skills. Taste and learn about a true artisan spirit. 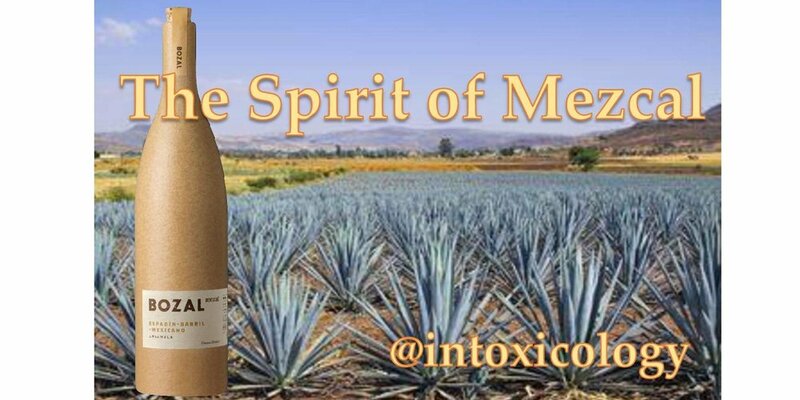 Chuck Kane from Bozal Mezcal will lead this class and we will cover how terroir and agave produce a variety of flavors that are exotically intense, with rich earth tones and savory smokiness. From the heart of the maguey these flavors are traditionally extracted to produce mezcal that is wildly refined. Bozal believes that something wild produces a far richer spirit. Class fee $35- Includes mezcal tasting and sample cocktails. Light snacks will be served. Chuck Kane’ has been in the Wine & Spirits Industry for 20 years and has achieved a Level 2 Certificate from the Master Court of Sommeliers and been certified by the Tequila Regulatory Committee of Mexico as a Master Trainer in Tequila. Chuck is certified in production & distillation with a focus on Whiskey & Agave based Spirits. Seating is limited advance purchase ticket is required. Go through four centuries of world history through a bottle of GIN!! From its first mass marketing in the late 1600's through today, gin has a storied past that has molded events of mankind over the years. Join us as we give a great lesson and tasting experience of one of the oldest spirits known to man. The class will include cocktails and straight spirit tastings of a variety of Gin styles. Light snacks will be served. Matt Seiter has been a professional bartender for several years. Matt is the author of The Dive Bar of Cocktail Bars, a cocktail recipe and how-to book based on his time running the bar program at Sanctuaria in St. Louis, MO. He is a graduate of the Academy of Spirits – Chicago and one of fourteen people in the nation to have earned the title Advanced Bartender through the certification program designed by the United States Bartenders’ Guild. Matt’s bar program at Sanctuaria has been nominated at the Tales of the Cocktail Spirited Awards (the “Oscars” of the bar world) for World’s Best Cocktail Menu (2011) and World’s Best Drinks Selection (2012) and his book was nominated for Best New Cocktail Book (2013). In addition, Matt has taught seminars on various industry-related topics at multiple national industry conventions. All tools, ingredients, and spirits provided by intoxicology. Learn the secret and history behind the only distillery to be able to say it makes true demerara rum. Join Ted Kilgore, Beverage Director of Small Change and Planter's House on a taste exploration of the one of a kind rum from El Dorado. Discover the versatility of a unique line up including El Dorado 5-year, 8 year and the 15 year. In addition, we will be tasting the limited one time only release of the El Dorado Master Blend. Only 5,000 of these bottles are available worldwide and we have some for sale as well as featuring it in Planter's House amazing original cocktail Tight Pants. Don't miss this unique class on barrel-aged cocktails taught by Bill Foster and Matt Seiter. Bill Foster, co-owner and maker of Big O Ginger Liqueur and Matt Seiter of Tom's Town Distilling will conduct this workshop on how to craft delicious barrel-aged cocktails in your own home. They will discuss the preparation and care of barrels, as well as how to select and/or create cocktails best suited for barrel-aging. During the session, you will get to taste a few barrel-aged cocktails created for the event, including a surprise cocktail at the end. Participants will receive recipes for a range of tasty barrel-aged cocktails as well as their own 1-liter barrel. It’s party time!! You’ve sent out the invites, you’ve cleaned the house and decorated, you’ve planned the meal, but what about the beverages for the evening? Sure, you could put a few bottles on a table next to the two-liter bottles of sodas and mixers and call it a day. But you want to spice it up, make it memorable. Join us as we take you through a crash course on easy-to-do Holiday drinks that won’t make you the bartender for the party. These “plan ahead” adult beverages will take the angst out of hosting a gathering and allow you to enjoy company, relax, and have one of the best Holiday gatherings of the season! Matt Seiter has been a professional bartender for the last ten years. Not only does he sling drinks, but he has been writing for Feast Magazine, a Midwest regional publication, since 2011. Matt is the author of The Dive Bar of Cocktail Bars, a cocktail recipe and how-to book based on his time running the bar program at Sanctuaria in St. Louis, MO. He is a graduate of the Academy of Spirits – Chicago and one of fourteen people in the nation to have earned the title Advanced Bartender through the certification program designed by the United States Bartenders’ Guild. Matt’s bar program at Sanctuaria has been nominated at the Tales of the Cocktail Spirited Awards (the “Oscars” of the bar world) for World’s Best Cocktail Menu (2011) and World’s Best Drinks Selection (2012) and his book was nominated for Best New Cocktail Book (2013). In addition, Matt has taught seminars on various industry related topics at multiple national industry conventions. Join us as we explore the major Scotch whisky production regions in Scotland. Taste the unique qualities each geographical region represents through the award winning collection from Douglas Laing. These regional malts are the ultimate distillation of Scotland’s malt whisky regions, with each bottling embodying the overarching characteristics of the region it is sourced from. We will also taste Gordon & MacPhail Bunnahabhain 8 year and Benromach 10 year. Your host for the evening will be Jeff Peterson. Jeff is the Central Midwest Sales Manager for Vision Wine & Spirits. He represents many liquor brands including some of the world’s best Scotch Whisky from Douglas Laing, Benromach and the Independent Bottler Gordon & MacPhail which is based in Elgin, Scotland. His extensive travels to many of the world’s finest distilleries has earned him a wealth of knowledge and an Apprentice Stillman Certification from Benromach. Class participants will recieve 10% off all Douglas Laing purchases. Explore the tastes of Fall with Matt and Beth Sorrell of Cocktails Are Go! as they mix up four autumn inspired cocktails featuring traditional and unexpected flavors of the season. Beth is a clinical laboratory scientist. Mixing cocktails comes easily for Beth. She's a graduate of BAR Smarts Wired and BAR Smarts Advanced and recently became a Certified Specialist of Spirits. Matt has spent several years as a writer covering the food and drink scene in St. Louis. It was during this time he got the itch to start mixing drinks. A graduate of BAR Smarts online, BAR Smarts Advanced and BAR 5-Day programs. He has also tended bar at Salt and Planter's House. Class participants receive a 10% discount on all in store purchases. Join us for a tasty class featuring award winning single estate Tequila Ocho and savory smoked brisket tacos from Publico in University City. Ryan Rama, Brand Ambassador for Tequila Ocho and Nick Digiovanni, Head Bartender at Publico will be in house to teach and taste. Learn the story behind Ocho and the mystique of tequila. Taste each expression and sample cocktails prepared by Nick and Ryan. $40.00 Class Fee - Includes 15% off all Tequila Ocho products.